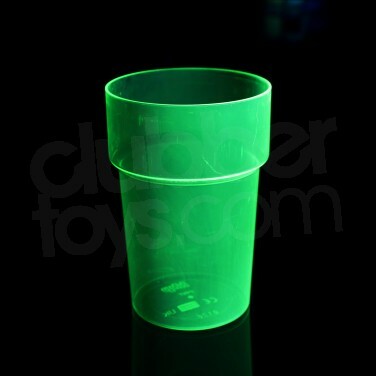 UV Reactive Pint Glasses are reusable UV reactive pint glasses with 'EdgeGlo' effect. 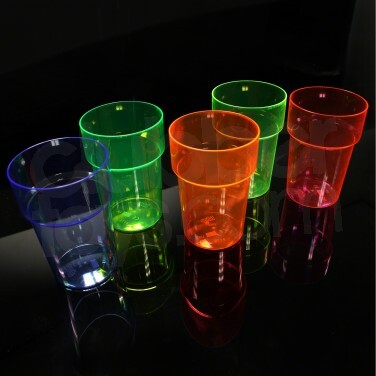 UV Barware glows brightly under UV or blacklight. 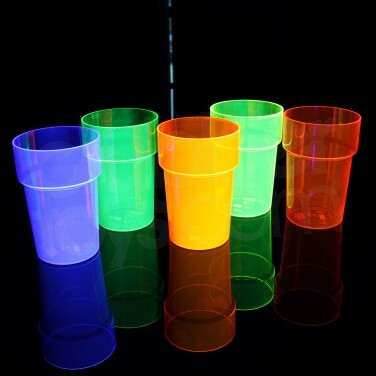 Multi coloured UV Reactive pint glasses are easy to find under black light and perfect to addd some glow to your party!